Those are soooo pretty. They remind me of some long-ago forgotten time when people actually used towels like that. Makes me think of a Jane Austen novel. Its beautiful. The stitching in the letter L is magnificent. BEAUTIFUL! I love it! 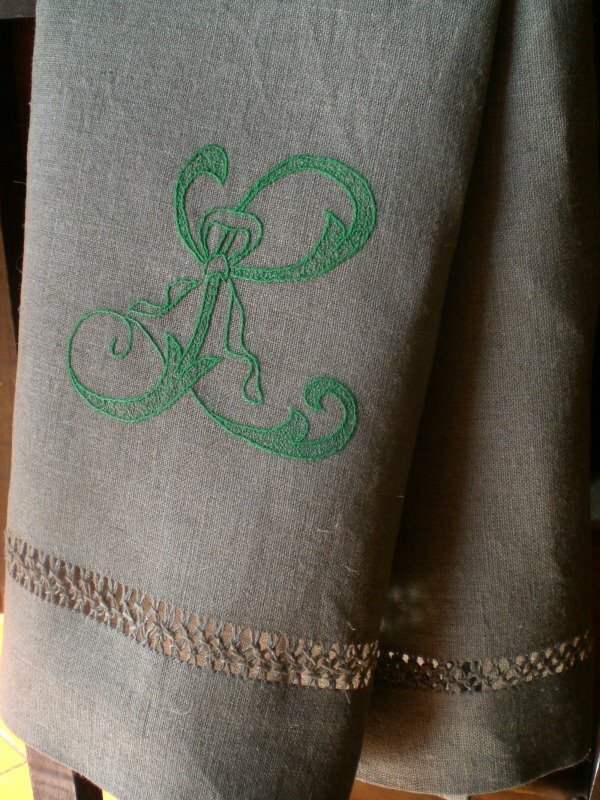 The drawn thread work is perfect, and so is the monogram! Gorgeous embroidery, Meri. 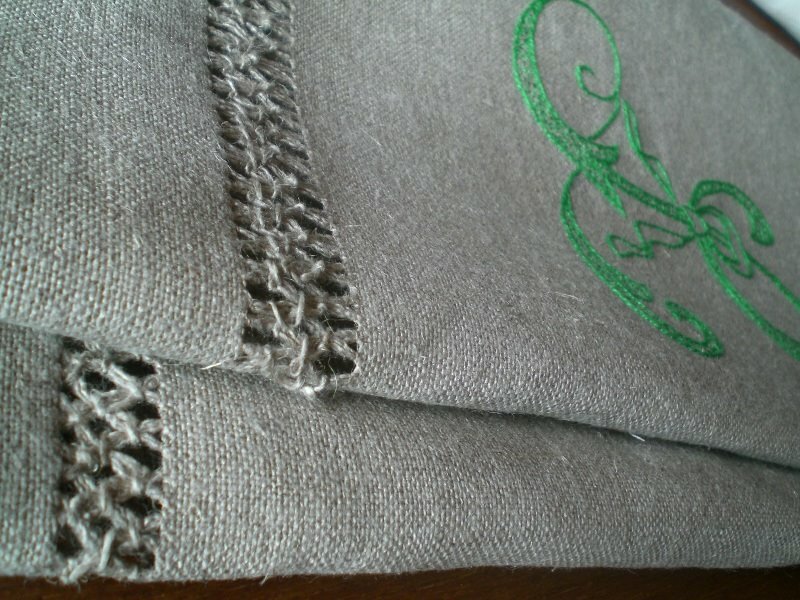 The shade of green you used looks fresh and lovely on the linen towel. You do such beautiful handwork.